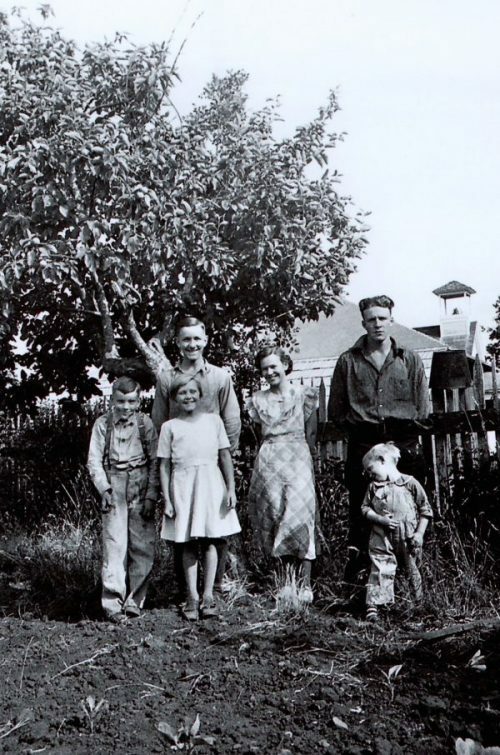 The Jennings Family in their yard in old Dorena. 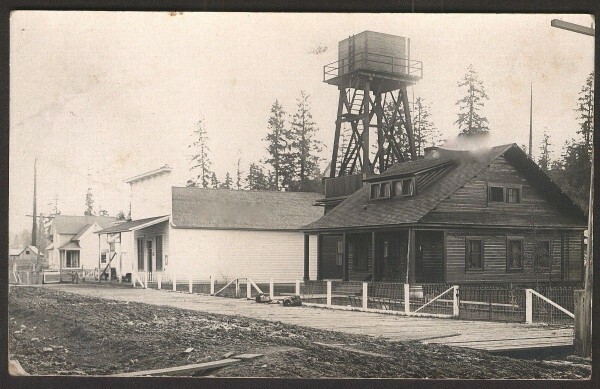 The old Dorena School is behind them. 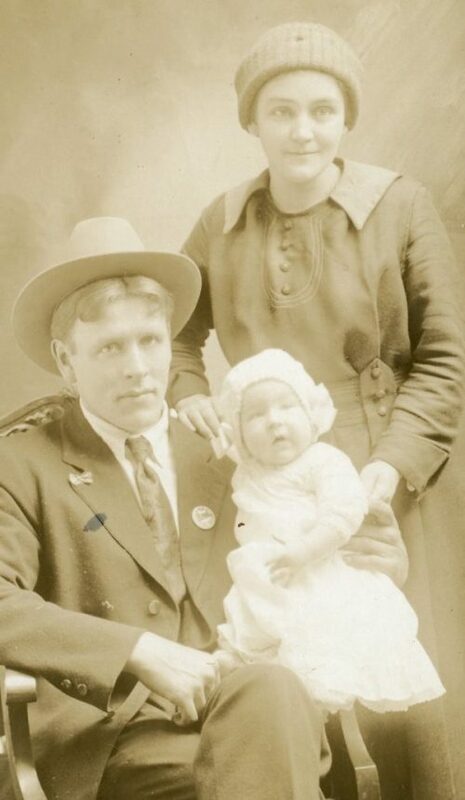 Baby Donna Jennings and her proud parents. Katy, Isaac and Andrew Land, all early Dorena residents. 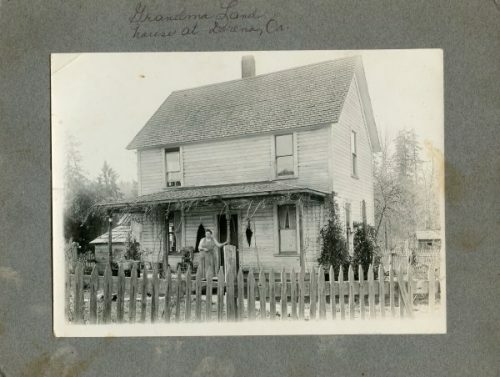 Thanks go to Donna Jennings Brandt for these wonderful old family photos. There were four teachers that year, including the beloved Aunt Jakie Dean. 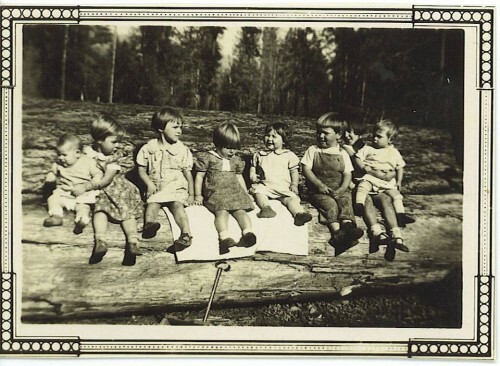 Love the spiffy knickerbockers and suspenders on the boy in the front row! 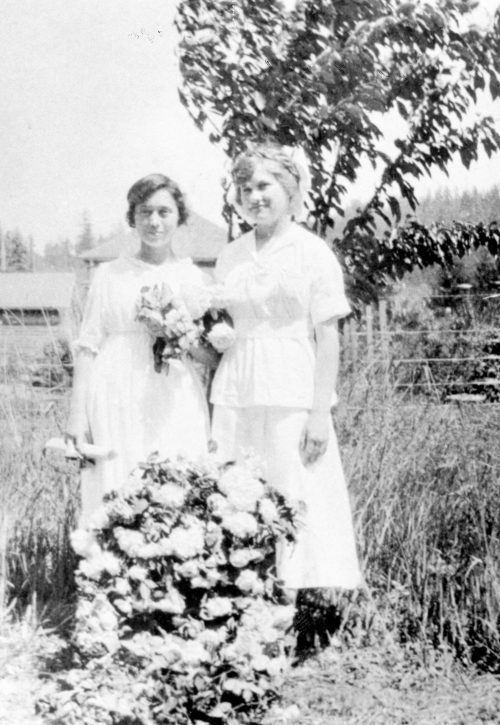 A photo of Opal Whiteley on the left and her friend Ruth Stewart taken in 1915. 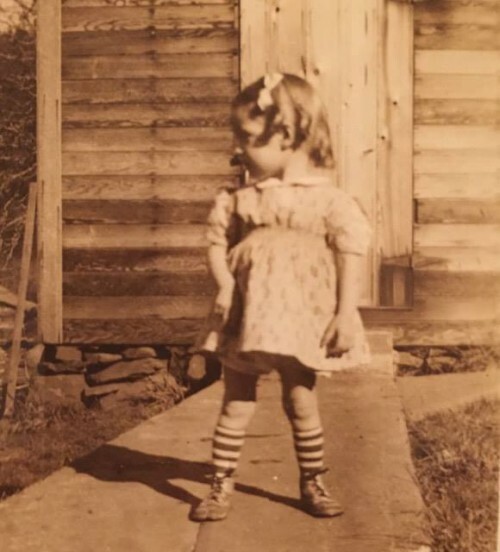 Not to be confused with the Ruth Stewart who was the long time Dorena Postmistress, she was not yet born when this photo was taken. Steve Williamson, a noted Opal historian, told me this story from about that time. 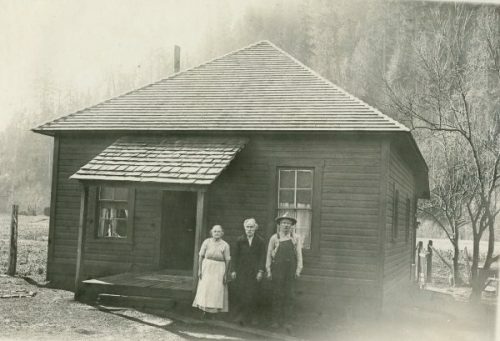 John Wilson and Charlie Teeters were a couple of local scamps. Opal kept butterflies that she collected in a cage and the two boys snuck over and opened the door to watch the butterflies fly away. Opal came bursting out of her house in just her bloomers screaming bloody murder at them. Do not mess with an amateur naturalist! 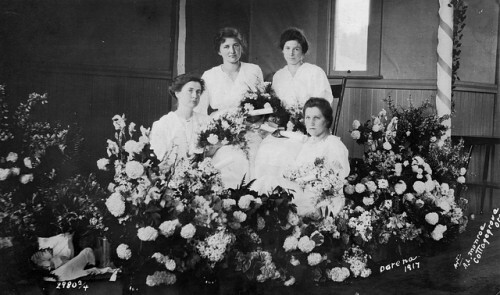 This photo from a 1917 wedding in Dorena is from the Oregon State Special Collection. No clue as to the identity of these women but the photographer may have been A.L. 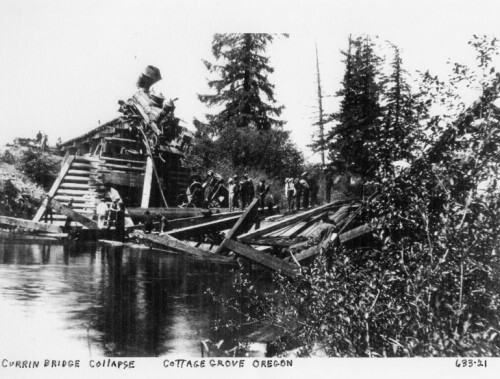 Monroe of Cottage Grove. 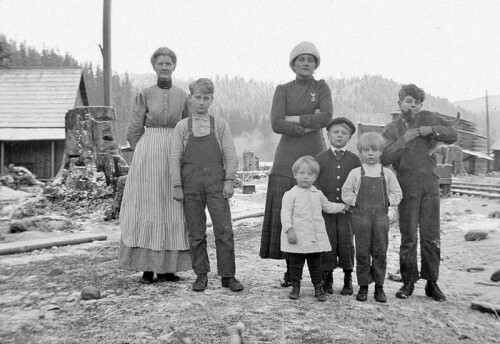 Some kids from the town of Wildwood with their Moms in 1911. 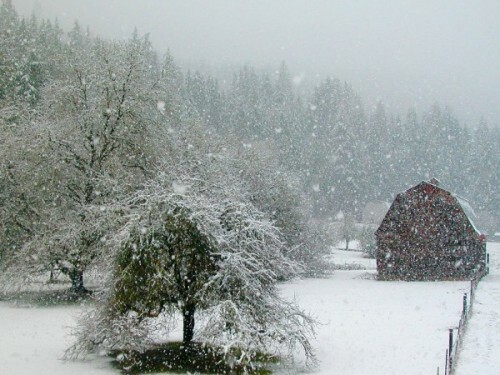 Yes, the town of Wildwood was near Wildwood Falls on Lower Brice Creek Rd. 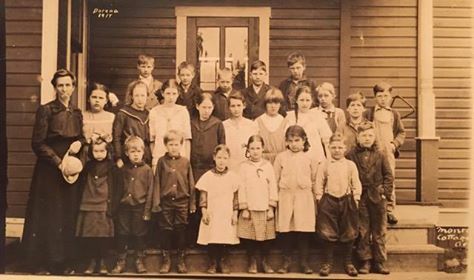 The kids of Dorena School in 1917. Love the spiffy knickerbockers and suspenders on the boy in the front row! 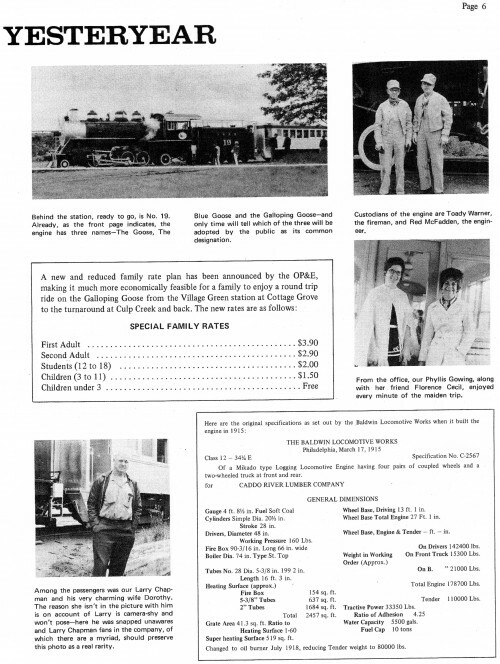 The Cottage Grove Historical Museum has this copy of the Bohemia Lumber Company Newsletter about the first trip of the Blue Goose Excursion Train. 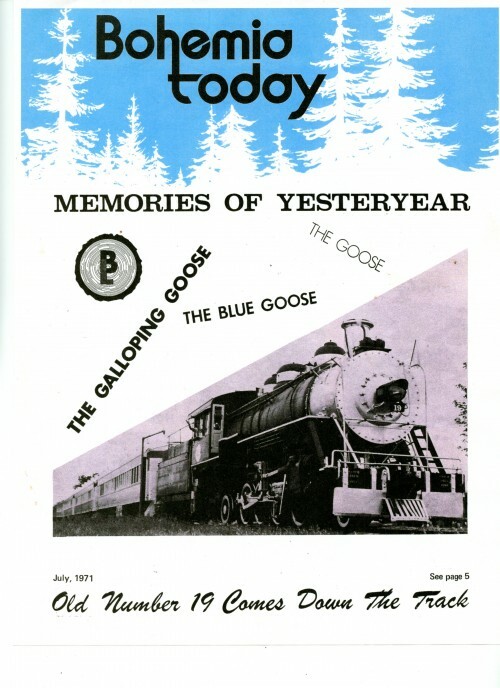 The Goose started its run in 1971 on tracks owned by Bohemia. 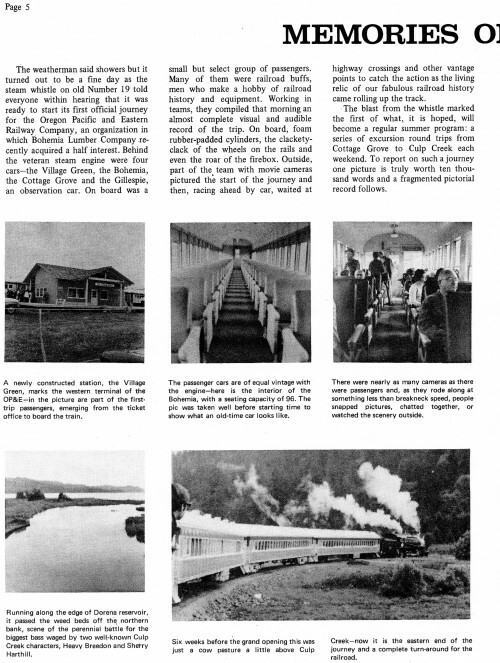 Pages 5 and 6 of the newsletter give lots of info about the train. The Goose stopped running in the late 1980’s as it was no longer profitable to maintain the track. 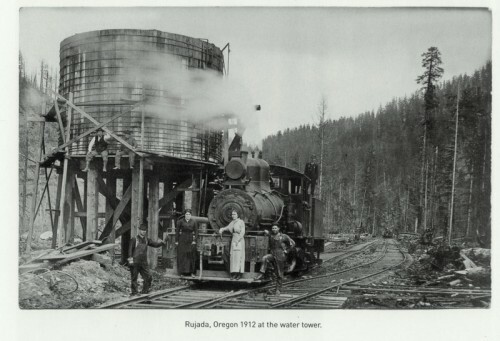 The BLM converted the tracks to a paved walking/bike path that is still in use.